The Duyung Baru Liveaboard has been designed to host a maximum of 6 passengers in 3 spacious luxury cabins. Our cabins were designed with one thing in mind: Comfort. 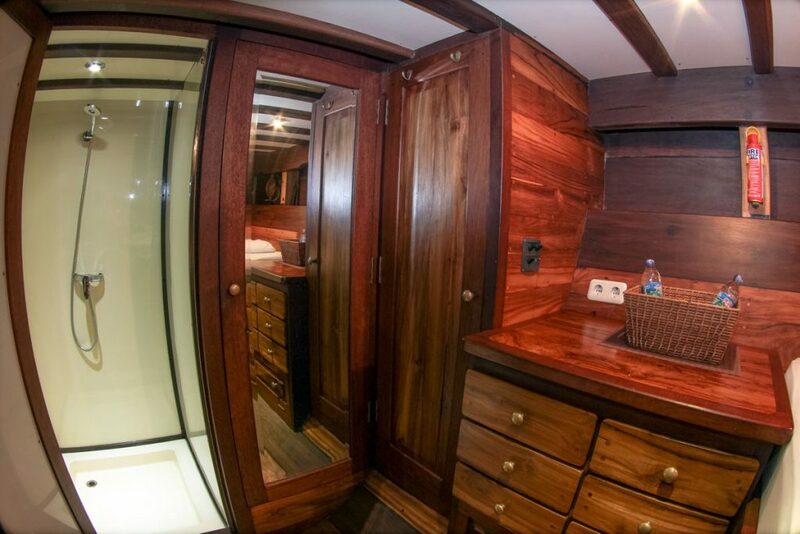 The interior theme of the boat is of hand sanded quality teak wood which is incorporated into all 3 of our luxurious cabins as well as the dining saloon. Our two private double cabins each contain Queen sized high quality mattresses ensuring you have the best sleep possible. The twin share cabin contains two king single beds of the same quality. 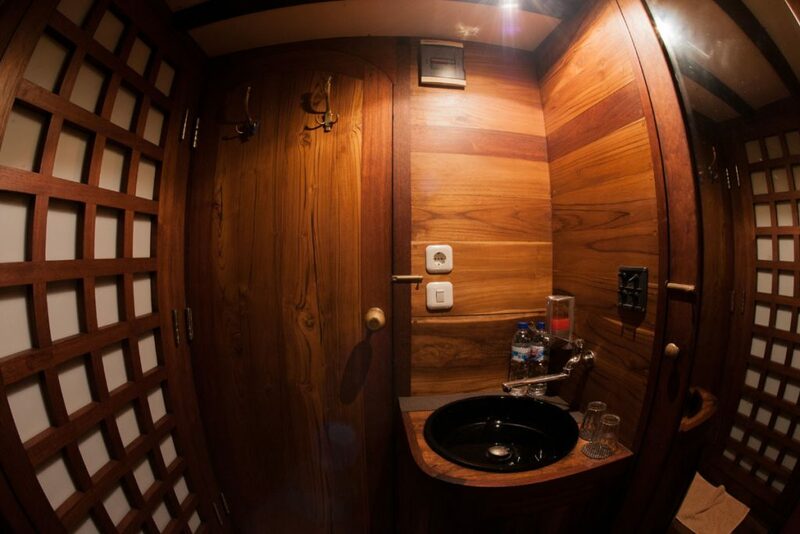 Each air conditioned cabin contains an ensuite featuring an extremely clean shower and private toilet for our guests. Our cabins are maintained and cleaned each morning when guests are out on their first dive of the day. 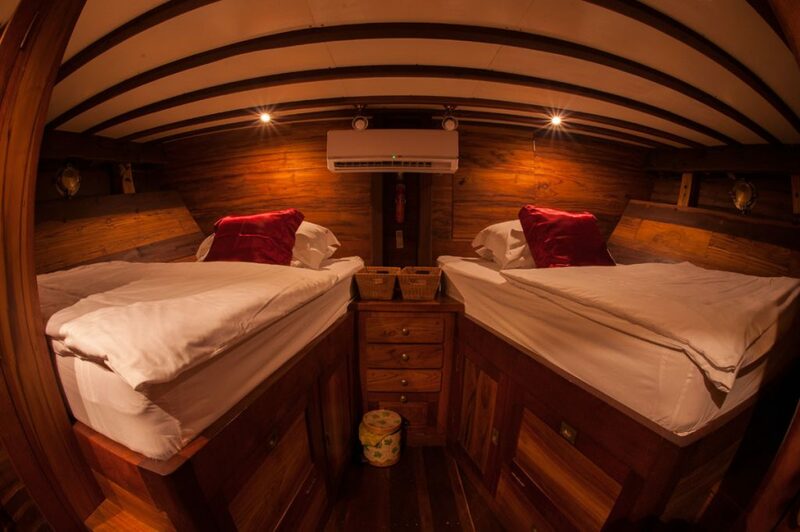 Two double cabins: Ideal for couples or friends to share a room. 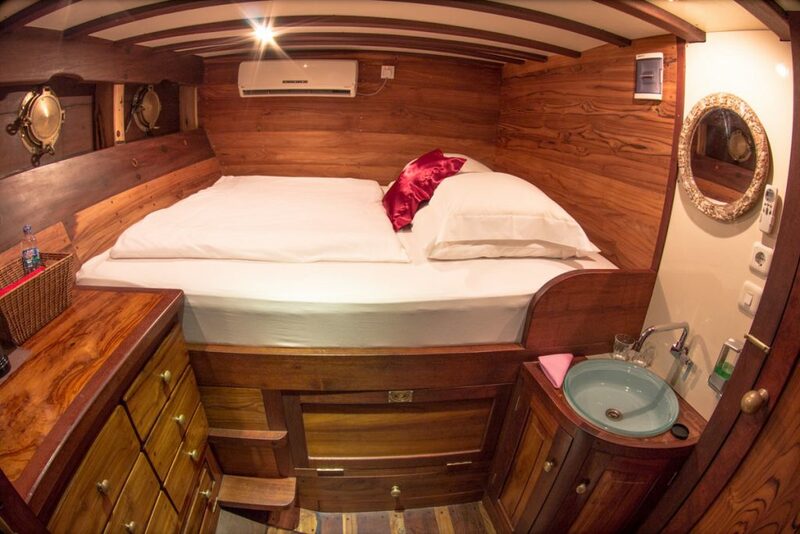 The cabin contains a queen sized bed, a desk (popular with photographers) an en-suite bathroom, two windows, private air conditioning, and a safety deposit box. The single-share-cabin is ideal for individuals, the cabin is made up of two comfortable wide single beds, a desk, an en-suite bathroom, two windows, individual air conditioning, and a safety deposit box.